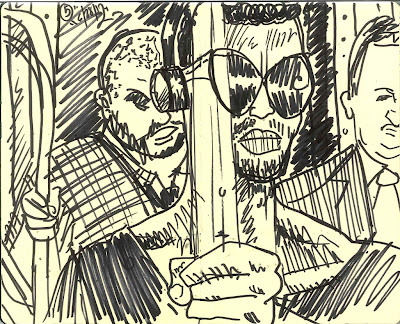 Getting really bold with her MIDRIFT on the L.
He was right up in my face but I really had to start drawing those sunglasses. 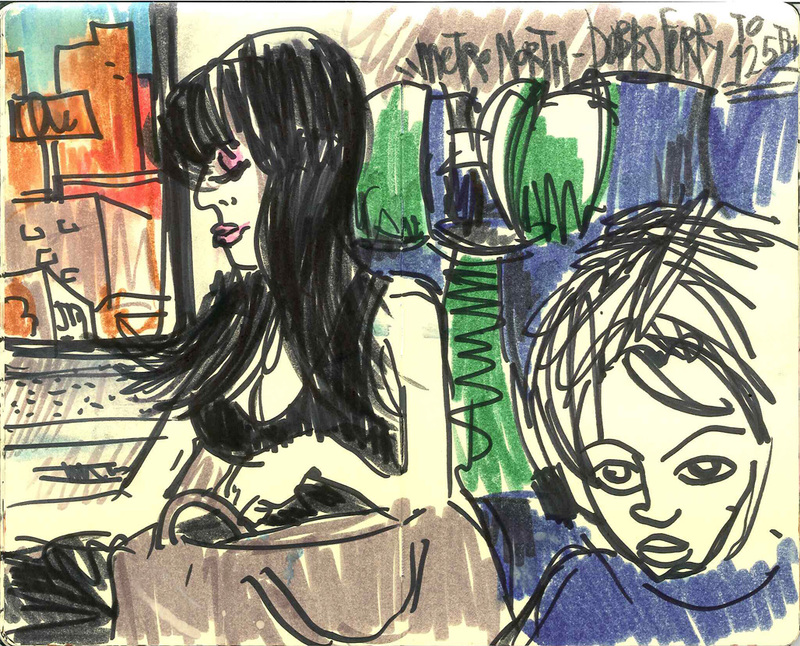 On the train at 7:15, gotta go Jersey ways, drawing the early risers. 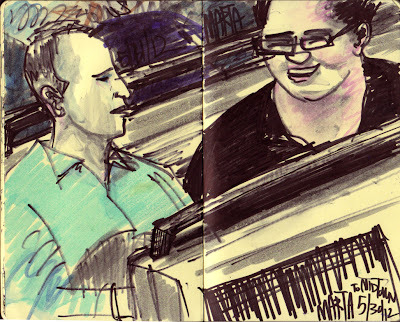 Quick figures on the platform at Union Sq. 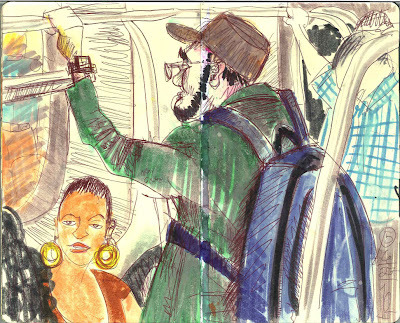 Kid in his robes, riding down to Union Sq for graduation with dad, looking round, taking it al in. Been a minute since I have ridden rush hour trains from 86th and Lex - after a couple of inaccessible trains and then sardine packed into this 5 I remembered my rule of not trying to go downtown before 9. 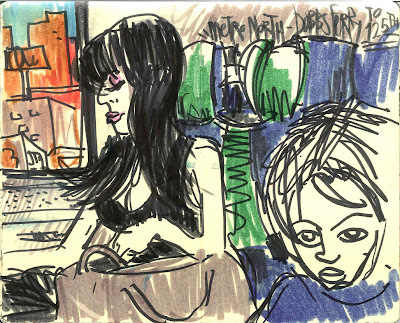 Headed to Park Slope with a kid to see some folks. 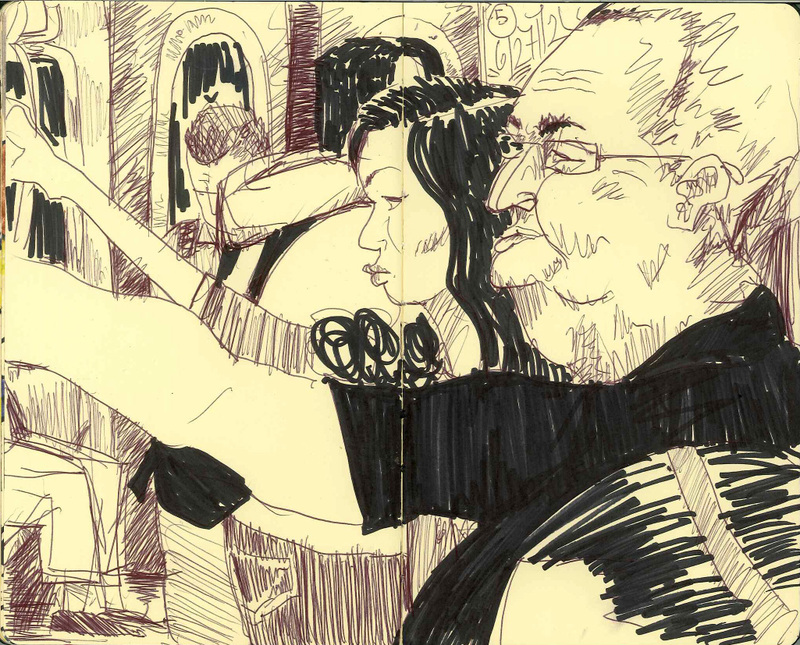 All the detail I could manage before my book was co-oped by a Griff. 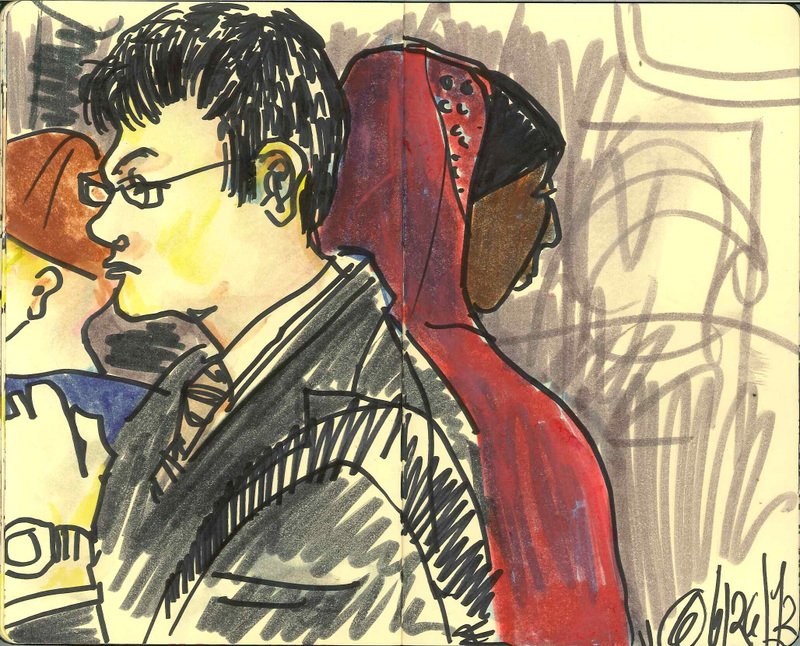 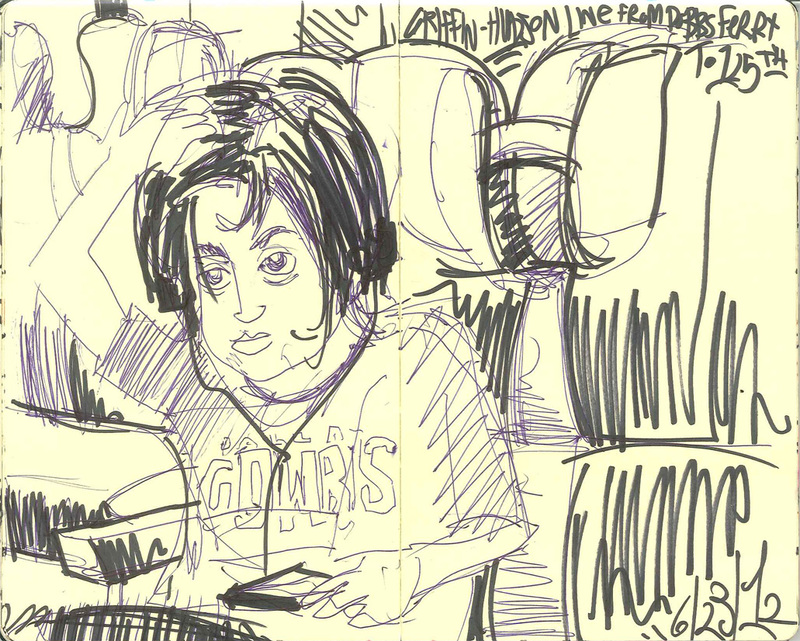 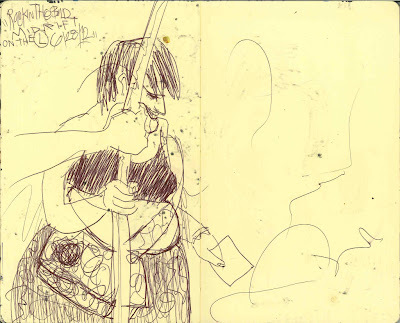 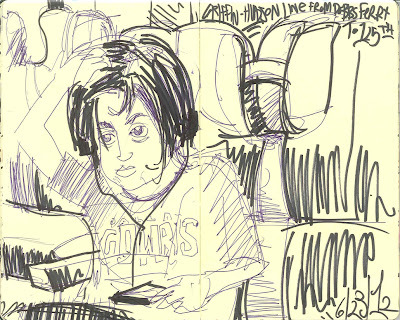 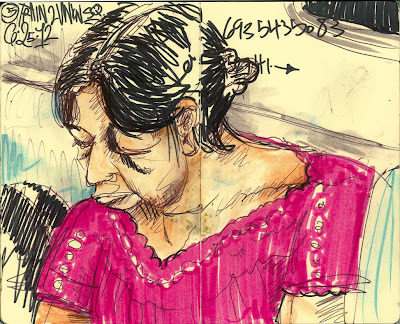 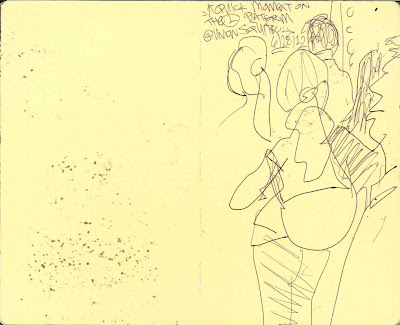 While I was sketching the scary chick from Yonkers across the aisle, who was with her "BF"? 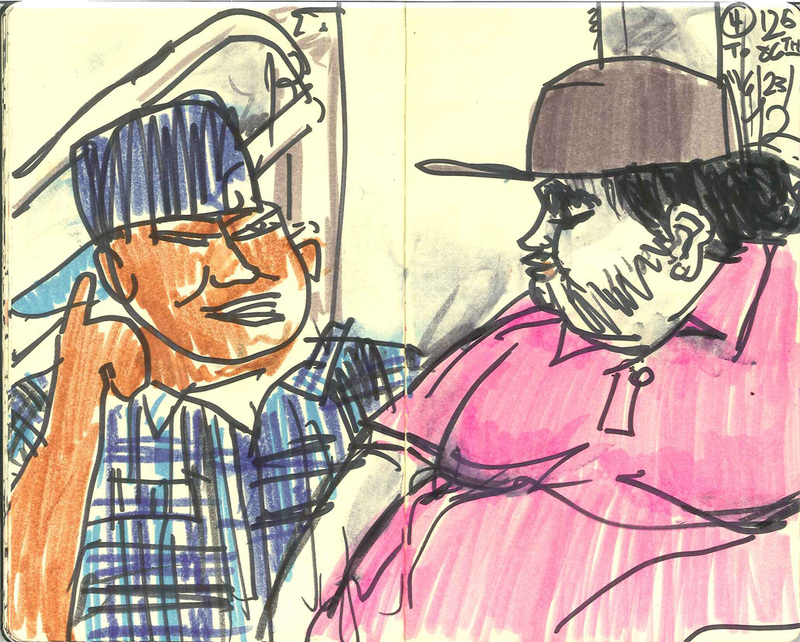 who resembled Ronnie from Jersey shore and who were exchange words in a strange combo of English and I guess Russian. Boarded the 4 @125thst and caught a few moments of this convo before we hopped of at 86th and Lex. Cozy little couple having loads of fun with her iPhone. 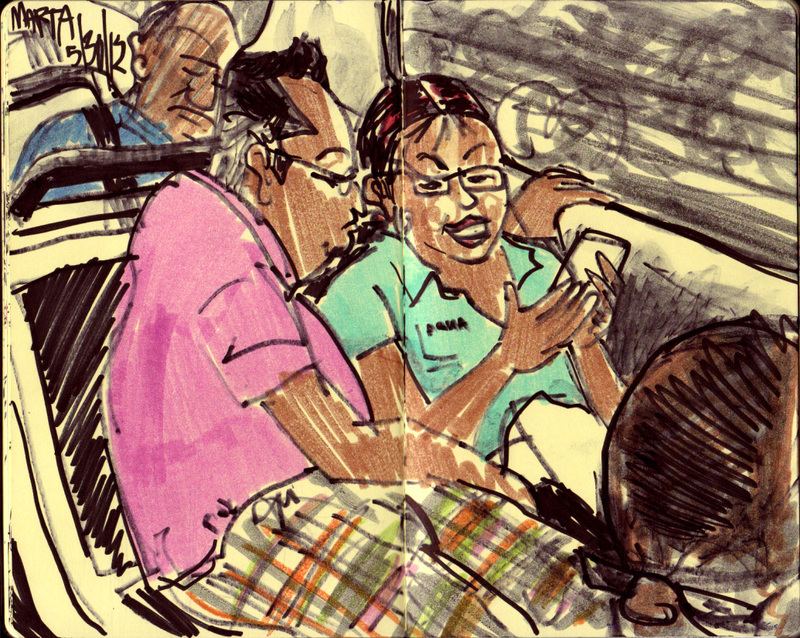 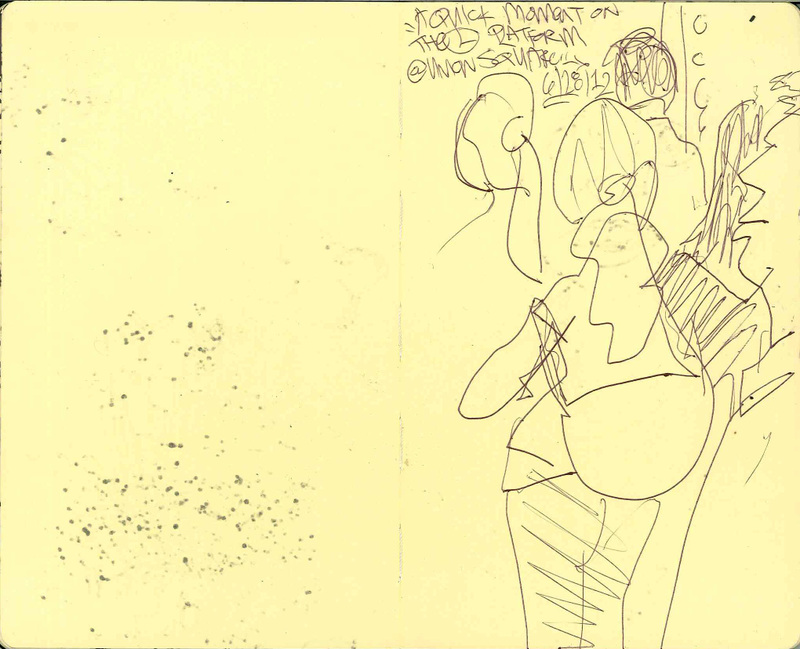 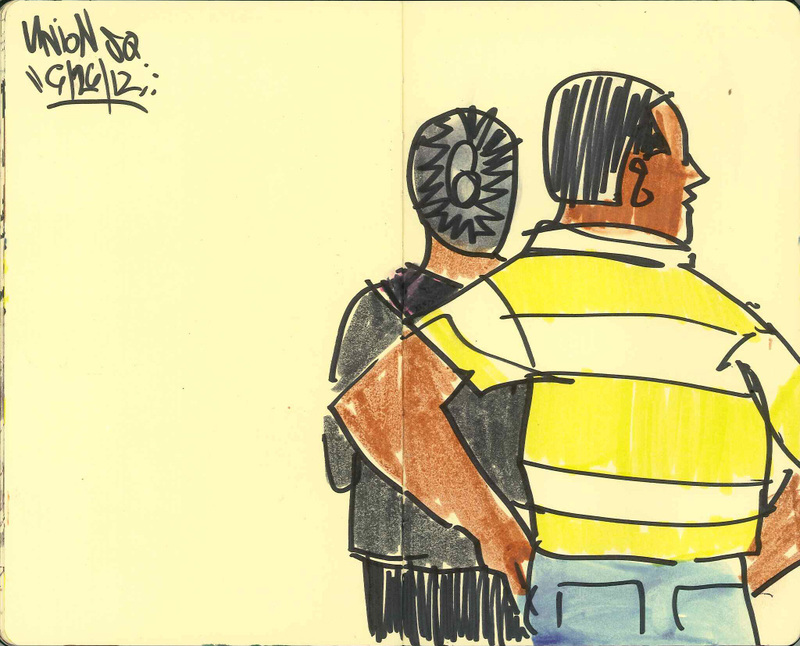 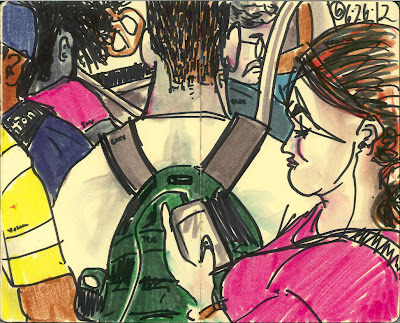 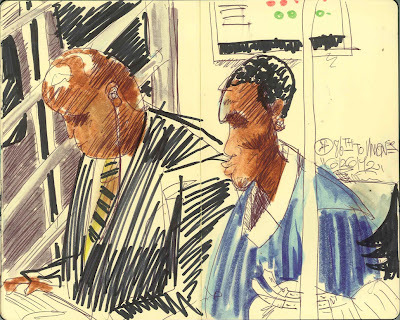 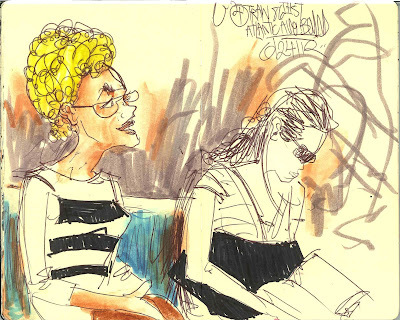 A curious crowd in the ATL - folks in NYC pay no mind to the subway sketcher on the usual - but these folks were interested. Teenager was asking me how I picked my subjects - the ones who aren't likely to move too soon said I. 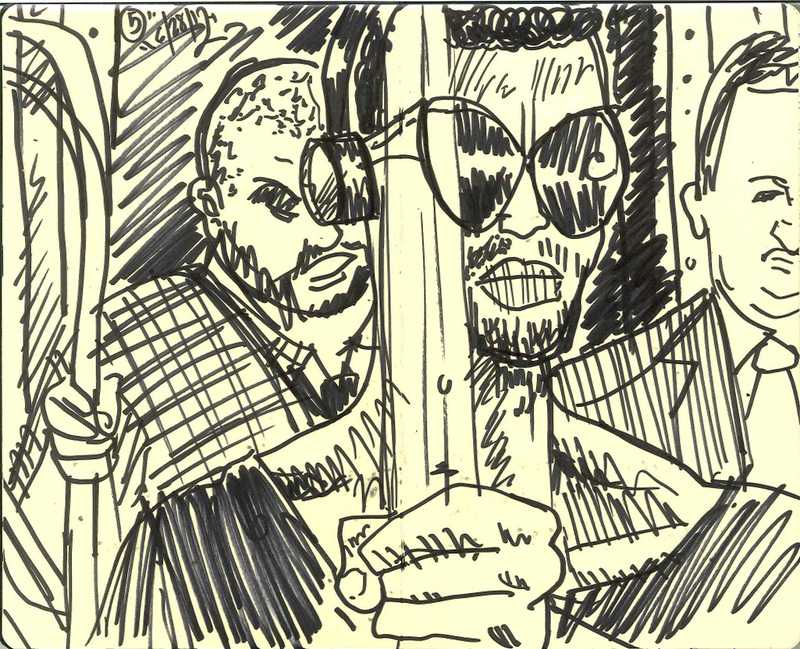 Other guy though I got bored and was just sketching in a book I was reading. Quite surprised that someone would rock a sketchbook on the regular.